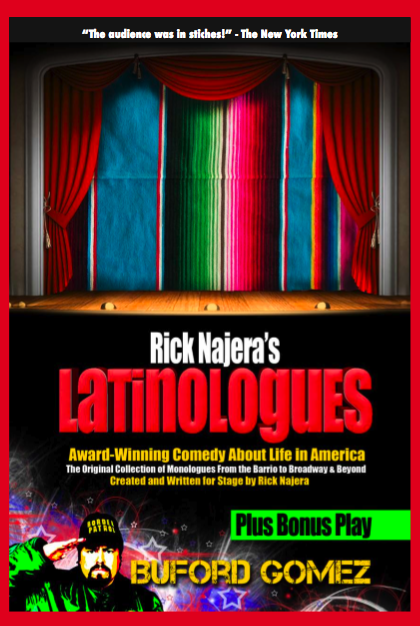 Rick Najera’s Latinologues: Chile Con Comedy embraces Latino stereotypes and gives them a sardonic twist. In its current incarnation at Coronet Theatre, this collection of monologues and satirical scenes about the Latino experience zips by, its cast of illegals will have you howling with laughter. — Preston Turegano, The San Diego Union – Tribune; San Diego, Calif.
“Latinologues is hilarious” – The Chicago Reader.